Morrison & Wagner maintains a fantastic record in helping people win a wide range of cases of personal injury, medical malpractice and wrongful death. We can help you win your verdict or settlement. Over 25 years experience, our law team is sharp, experienced and knows how to win. We have an industry-renown reputation for helping injured people get the compensation they deserve. We recover maximum financial compensation for injuries such as car accidents, construction, and slip-and-fall, negligence, defective products, medical malpractice and wrongful death. Dennis Marruco was electrocuted while walking up the stairs of a New York financial institution. He sustained significant burns and a fracture of his left arm. In addition, the burn victim suffered a spinal injury with fractured vertebrae. Trauma surgeons performed an operation to repair his arm with plates and screws. Mr. Marruco explained that the real estate management company should have done their due diligence to prevent such an accident. He was left injured and knew that he needed help to recoup the money that he had lost due to the institution’s failure. 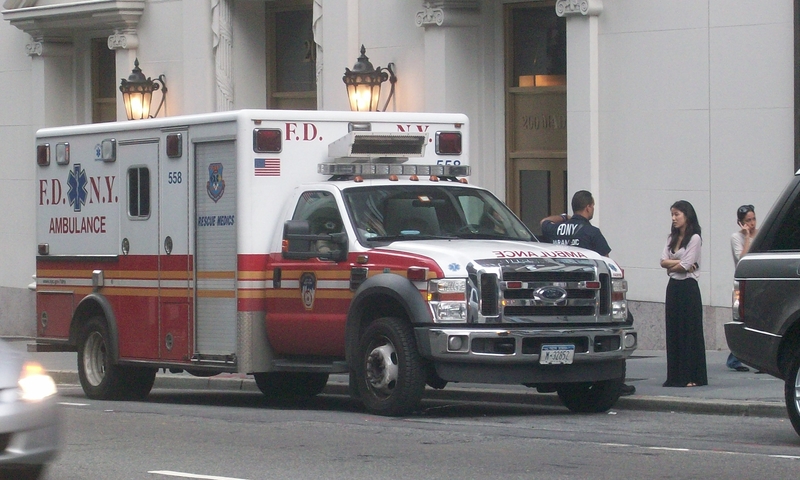 The 67-year-old accident victim approached the successful injury lawyers of Morrison & Wagner in Manhattan, New York with a simple phone call. They helped Marruco submit a premises liability lawsuit against the financial corporation and the realty management company. He demanded restitution for his accident injuries as well as his pain and suffering. The man’s diligent lawyer explained that negligent maintenance had been performed and therefore the defendants had not protected the public from an inevitable electrocution and injury. The defendants agreed to settle the lawsuit by paying the injured man $1,450,000. Here’s another premises liability case that was successfully handled by the winning attorneys of Morrison & Wagner, LLP. I was walking down the street with my kid and a cab knocked me down. Next thing I knew, I woke up in Columbia Presb. My cousin told me to call Morrison & Wagner. He came right over to the hospital and began helping me. Over the next year, he fought my case until I was paid fully for my pain and suffering. I am so happy I gave them a call. I went in to the NY Operating Room for a serious procedure on my back. The doctors were negligent, and caused me pain during and after the stay. Their mistake made my walking, working and everyday functioning difficult. Fortunately, attorney Eric Morrison fought my case and made sure that the doctors would compensate me for their mistakes. I highly recommend Morrison & Wagner. We were heartbroken when the hospital called us to come down. Our elderly father was hit by a city bus, and killed. We did not know what to do. We contacted Morrison & Wagner, as friends of ours recommended them. Indeed, they were professional and focused. They successfully recovered more than any of us expected, and helped us move on from the terrible loss. The ceiling crashed down on me at work and they rushed me to the hospital. I had to go for shoulder surgery and a lot of therapy for all of my injuries. I just didn’t know how the whole system worked but my co-worker told me who could help. That’s when I made the call to Morrison & Wagner. The worker’s comp lawyer helped me through the whole case and explained it all to me. He got the money from my employer in order to cover my medical bills and suffering. After getting surgery on my broken arm and the electrocution burns treated, I realized that I needed to deal with all of the bills that were coming in. I called the Morrison & Wagner lawyers because they were so well recommended by people who’d actually used them. They helped me settle my case so that I didn’t have to worry about finding the money to pay my bills. © 2018 by Morrison & Wagner, LLP NY Injury Lawyers. Give us a call today. CALL: 212-343-8000. | Visit us on Facebook | Send Us A Fax: 212-343-2621 | Our office is conveniently located near Port Authority & Penn Station, at 49 West 38th Street Fifteenth Floor, New York, NY 10018. Attorney Advertising. Past success does not guarantee future results. But we sure try by fighting for your success!